Interest in Apple’s iPad is growing in the enterprise market with 94 percent of the Fortune 500 companies either testing or deploying the multimedia tablet. 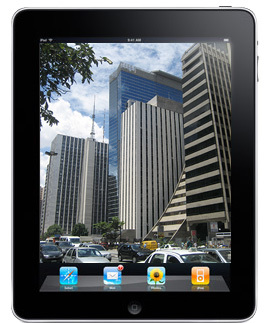 Some 70 percent of the Global 500 companies are testing or deploying iPads, too. In response to a question about the iPad in business during Apple’s second quarter earnings report, CEO Tim Cook said they have been working with Fortune 500 companies to get the iPad certified for use in the enterprise. He added that the iPad’s numbers in the enterprise market are “off the charts” considering the device has been available for only two years. Apple seems to be focusing more on getting the iPad in the enterprise market. Mr. Cook said that Apple has more sales people working in the enterprise market, and that the company is working more with third parties, too. iPad sales for the March quarter came in at 11.8 million units, and total iOS device sales are up over 365 million since the first iPhone landed in customer hands. Apple reported US$39.2 billion in revenue for its second fiscal quarter, with $11.6 billion in profits. The company’s stock currently is sitting at $602.28 in after hours trading, up 42 (7.50%).